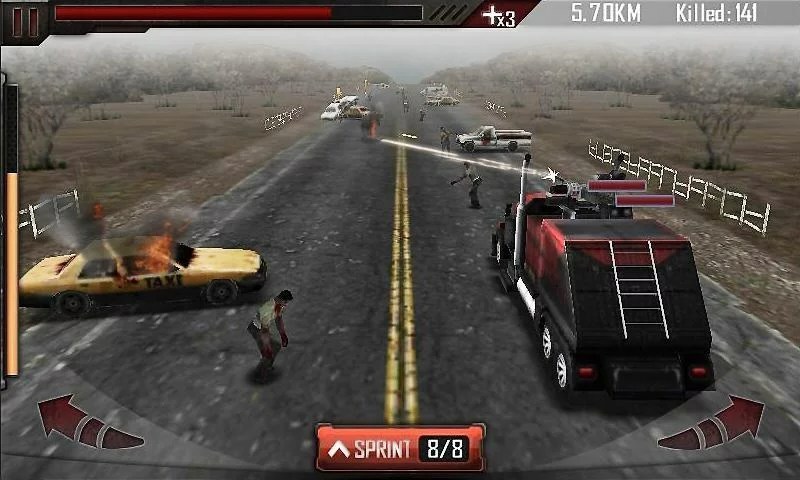 Zombie Roadkill 3D – Games for Android 2018 – Free download. 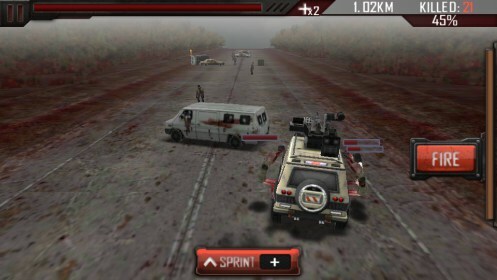 Zombie Roadkill 3D – Mow down zombies in an armoured van. Zombie Roadkill 3D for Android puts you behind the wheel of a hacked-together armoured van. 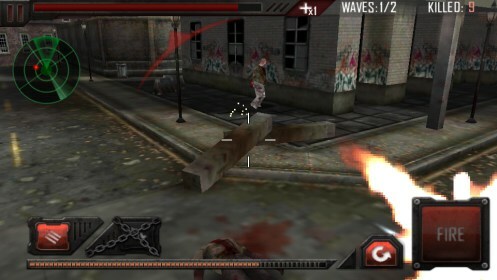 In some levels you fight off waves of zombies attacking from different directions with a variety of weapons. 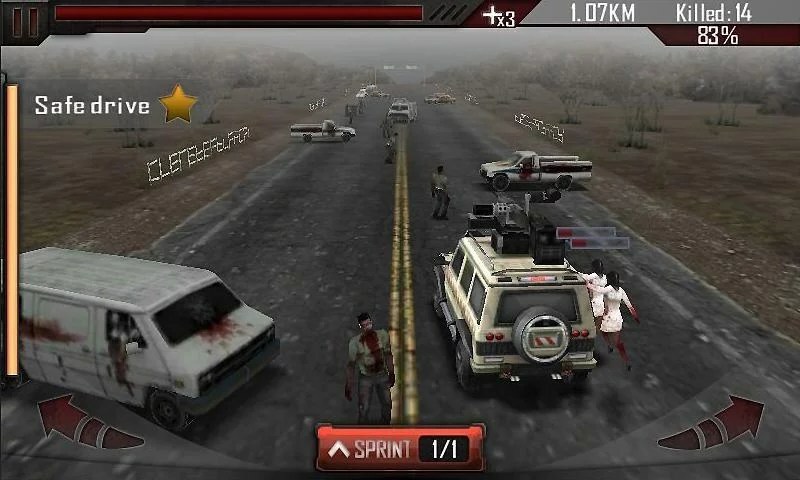 In other levels you race down the highway, running over zombies, avoiding crashed cars, and using a nitro boost to shake off zombies that cling to the side of the van, making it unstable. The best levels are the ones where you are speeding down the highway. 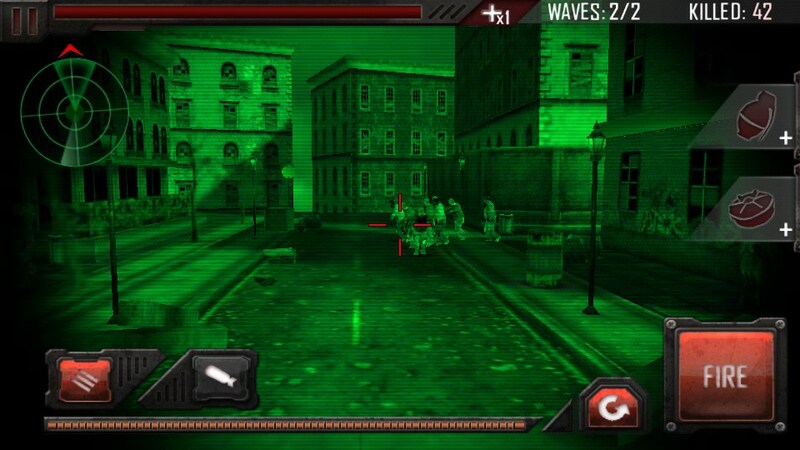 There's the option to use tilt controls, and it's good challenging fun to mow down zombies and swerve around obstacles as you gain speed. It gives you a real feeling of action. This makes the game highly addictive. The levels where you shoot at approaching waves of zombies are slower paced. You need to time and use your weapons carefully before you run out of ammo. You'll have a certain amount of heavy artillery, machine gun bullets, and maybe grenades and land mines to throw onto the zombies path. It's satisfying to set of a big explosion right in the middle of a big horde of them. It would be nice if you could look around using tilt control rather than swiping, but it is responsive enough. 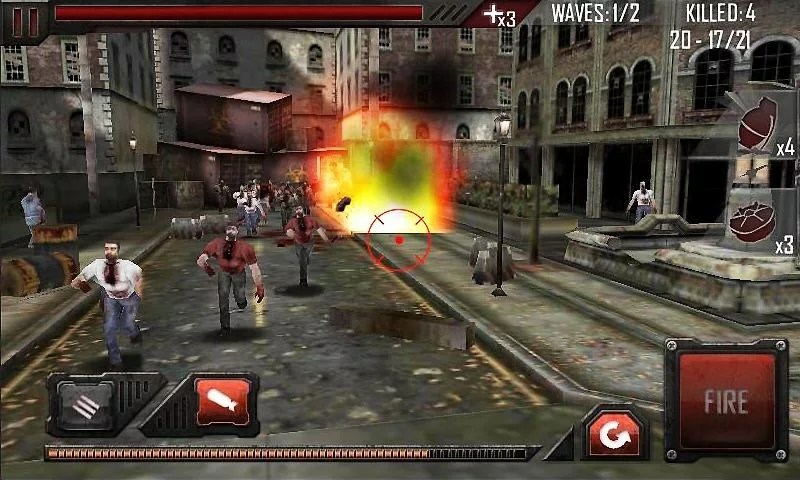 The game features in-app purchases, but they are not necessary for playing the game. 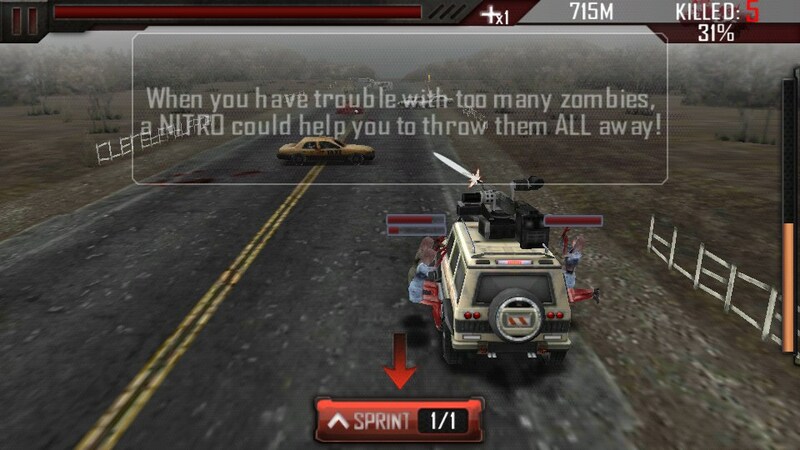 You earn game money by killing zombies, and get a chance each day to win money and other items in a spin-the-wheel type lottery. You can use the game money for upgrading to a bigger truck, or upgrading your weapons. 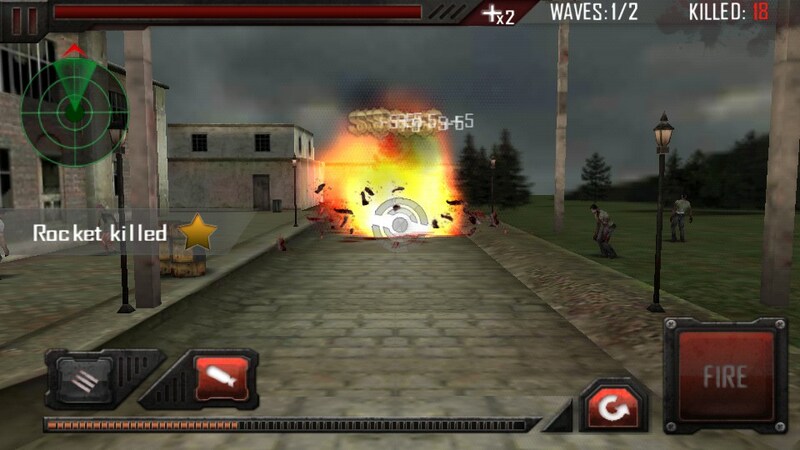 Zombie Roadkill 3D has loads going for it, from the addictive gameplay to the high quality graphics and sound effects. You feel like you are right in the action. Lots of levels. Insignificant battery drain. The adrenaline will keep you awake, focussed, and sweating late into the night. 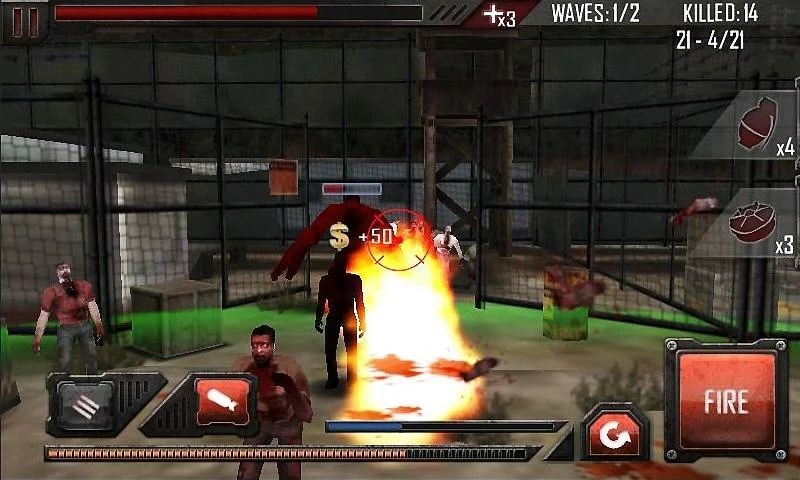 Simply follow the "Free Version" link above the review and it will direct you to the appropriate Google Play page where you can download the app. If you are installing from the PC, then you will need to be logged in with the same Google Account on both your PC and your Mobile device. Alternatively you can scan or input the QR code, also provided above the review" into your mobile device and it will take you to the download page. Let me know if this helps or if you require more assistance. How to throw a grenades & mine ? Any idea please ? I cant figure out how to throw mines and grenades. ANY INFO PLEASE?? ?